I knew today was going to be a busy day for us. We got up and did a few things around the house. Then we got ready to go out. We needed to be out for about 2 hours this morning. After we got home we finished up our school and then we ate lunch. 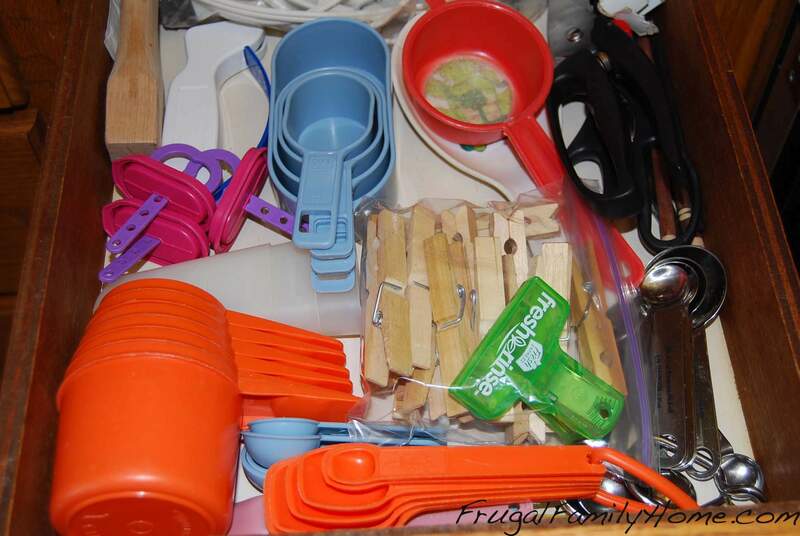 After lunch while my daughter was working on her science assignment, my son and I started on the utensil drawer. 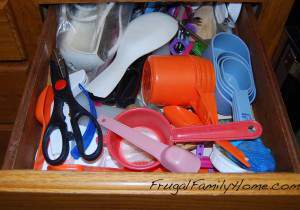 This drawer is often quite messy and things will get stuck as you try to close it. You can see why. After the cleaning everything has it’s own spot. Now if I can just keep it that way. I had already last week cleaned out my junk drawer as I was tired of continually having to hunt around for a pen or a pencil. I did not have any little baskets to contain my pens and pencils so I made some out of an old cardboard box. These holders will do for now until I can find a basket or container I like. There is still more stuff in this drawer than I would like but at least we can find everything. After the drawers were done, I got out my steam cleaner and started on the windows. The windows were not too bad as I clean them as they get spots or fingerprints on them. 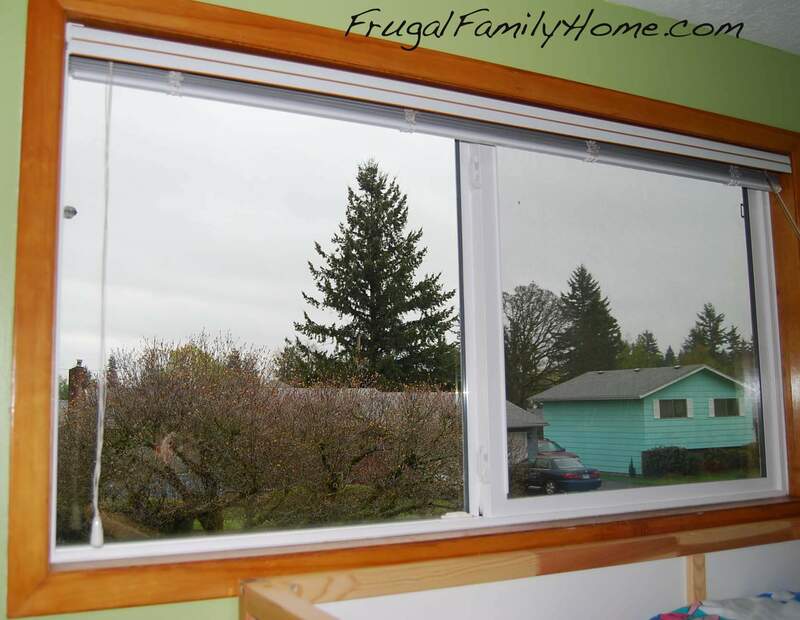 Here is an after picture of one of my windows. The slider had some fingerprints on the glass along with some dirt in the track that I cleaned out. 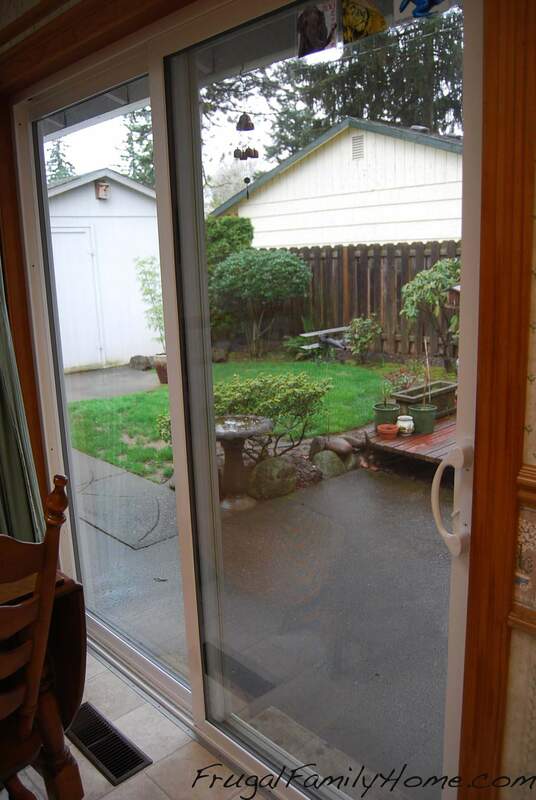 There was also spots on the window close to the bottom from our dogs pressing their noses on the glass. All the window are nice an clean inside. The outsides are still dirty. It was raining today so I wasn’t able to clean the outside glass. But they all look much better. I have a few things to throw away here. A few things are from when my son was little. 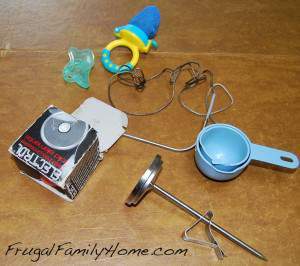 He did not use either one much but they were in the drawer along with a temperature probe for a timer I no longer have and a candy thermometer that doesn’t work. I also decided to get rid of the polish for my stove top burners as I never use it so why hold on to it. That is how I did on the assignment today. What did you get done on your spring cleaning? 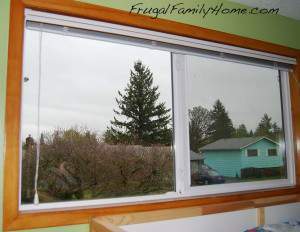 You have such a nice view from your windows! 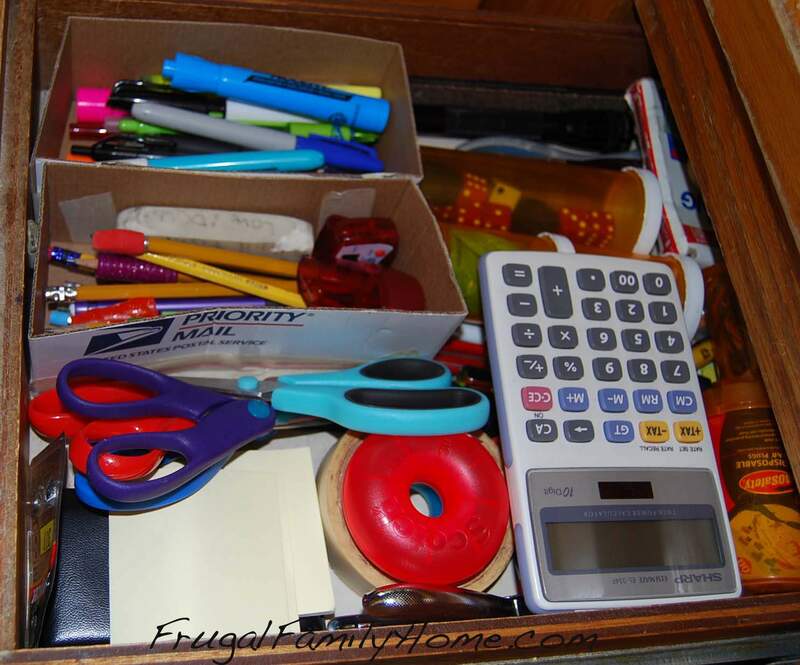 I need to get some little boxes for my drawers too…what a smart idea to make some! Soon all of our trees out front will be in bloom. They are dogwood trees and they have really nice flowers when in bloom. The steamer is a little drippy for the windows but it sure does get them nice and clean.